By a Corbyn supporter, fearful of how the Tories vulnerability and weakness following the referendum will cause them to mount a huge onslaught against Jeremy Corbyn, an entirely unjustified onslaught, to deflect attention away from a disunited Tory party in turmoil. Corbyn and his supporters terrify those, currently, with all the power. It is looking likely, although this could obviously change, that the majority of ‘ordinary working people’ will vote to ﻿leave﻿ in the upcoming EU referendum (http://www.theguardian.com/commentisfree/2016/jun/10/working-class-britain-brexity-betrayed-labour-vote-leave). This poses a huge dilemma for Jeremy Corbyn and one that the Tories, UKIP, the mainstream media and anti-Corbyn Labour MP’s/supporters will no doubt pounce upon. The barrage of attacks, which Corbyn has faced since his election as leader of the Labour Party, will be ripples compared to the tsunami of attacks that is sure to come his way following the EU referendum. Whether we vote to remain or leave, if the majority/a large enough amount of ordinary working people/core Labour supporters do vote to leave – this will undoubtedly be used to suggest that Corbyn’s stance to remain and his stance on immigration, shows that Corbyn doesn’t represent the people he purports to and should represent. Regardless of whether or not this is true, which obviously it isn’t the truth at all, it might however give the Tories, mainstream media, UKIP and anti-Corbyn Labour MP’s/supporters the perfect weapon. Those are a few examples of what to expect, they’re not my views, I find them despicable and repulsive! Based on what we’ve witnessed so far against Corbyn and the fact that the Tories will be so weak, they will, unfortunately, be plastered across the mainstream media, picked up on by the BBC, the Tories will use them and so will the others mentioned. The Tory party is in turmoil, not in my lifetime has there been a government with such disunity. This is, however, only year one of the Tories five year fixed term parliament and once this referendum is over, regardless of the result, they will have a mammoth task to fix the problems they have within their own party, while continuing to destroy… sorry, govern… society. What better way for the Tory party and their mainstream media chums to continue, while in such disarray and with such abhorrent policies, than to deflect attention from themselves onto those pesky foreigners, and to cause division and conflict within the main opposition party? What better way for UKIP to continue their growth than to pounce on this and on the hysteria they’ve largely caused? What better way for anti-Corbyn Labour MP’s/supporters also to continue with their agenda than to use a suggestion that Corbyn doesn’t represent ‘Labour people’? This referendum has seen the spotlight firmly shone on some of the biggest problems society faces; a crumbling NHS, housing and education shortages and the many many problems regarding jobs, pay and the cost of living. These are some of the main issues causing the anger which is fuelling a large majority of those wishing to leave the EU, with the cause of everything supposedly being immigration. Can Corbyn and his supporters convince people that immigration isn’t the cause in time for the referendum? I highly doubt it. This is the dilemma Corbyn faces, we’ve already seen sections of Labour repositioning themselves, ready for either a vote to leave or for when the majority of ordinary working people vote to leave. Should Corbyn change his stance on the EU even further than he has done, by his supporting of a remain vote? In doing so, he’ll have to ditch a part of what makes so many of us respect and support him – his sincerity and his principles – No, he shouldn’t. If, as predicted, the majority of ordinary working people vote to leave, will his perceived ‘pro-immigration’ and ‘pro-EU’ stance leave him open to attack? Will it be, from their point of view, the perfect weapon and tool to deflect attention from the turmoil within the Tories, from the problems in society so many are angry about and the terribly fragile and weak economy? Help UKIP to continue their ill-gotten growth? Help anti-Corbyn Labour MP’s to drive the wedge which they’ve been holding, waiting to drive between the Labour Party? 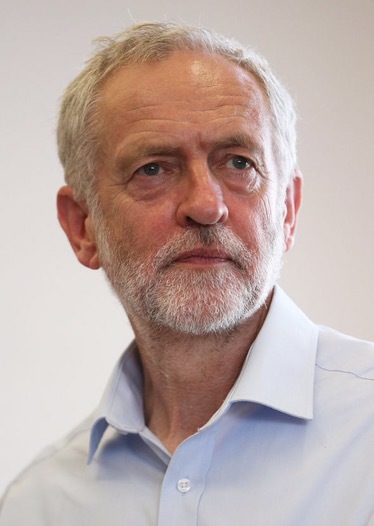 It is highly likely that we will see this, it is something that he and his supporters need to be extremely worried about, but there is a way that Corbyn can prepare and actually flip this, not to exploit and use as a weapon, that’s not his style, but there will be an opportunity for Corbyn that, personally, I believe he and his supporters could take. Raise awareness to the free movement of people (immigration) that other countries have accepted when negotiating trade deals. Show Labour supporters and ordinary working people that immigration will still happen if they vote to leave. As, regardless of whether one is pro/anti or not really bothered by immigration, knowing that it will remain with a vote to leave will make a large amount of people rethink their position. 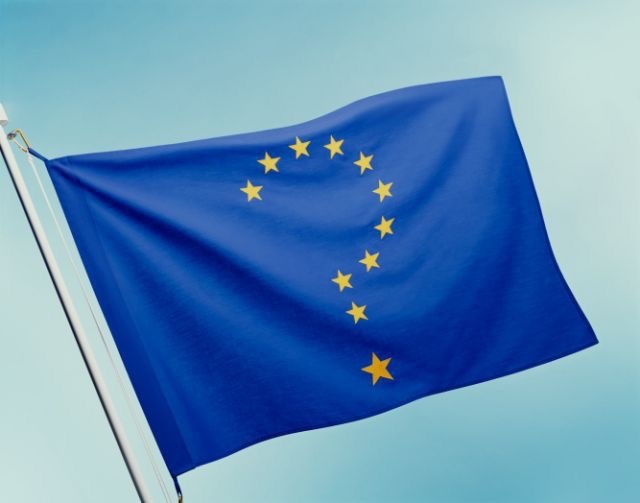 It could make some consider different reasons as to whether to vote to remain or leave, seeing as a lot of those anti-immigration haven’t really considered anything but immigration. It could also make some consider what the other causes of societies problems are. Personally I wouldn’t try to bring too much attention to the positives of immigration as this leaves him open to the problem I’ve outlined above – regarding not representing ‘ordinary working people’. Although it might be possible to at least say a few positives about the staff in the NHS, the net positive contribution that immigrants make to the UK and possibly a few more, without it being too much. The biggest thing to draw people’s attention to is the actual issues themselves, rather than the supposed cause. If there is one positive to take away from this referendum happening, it’s the way in which it’s highlighted the serious problems many of us face with regards mainly to health, education, housing, jobs and living standards. Corbyn needs to focus on these and explain how his plans, regardless of whether we have immigration or not and regardless of whether we’re a part of the EU or not, his plans will by and large solve these problems. I think that there is even an opportunity to bring into question the Tory party’s ability to govern society considering the disunity and turmoil. I think Corbyn can also point to the problems in society, the anger out there that this referendum has brought out, and put to society the idea that we could possibly/should have a general election so as to give society a democratic decision on how we solve these problems and because the Tories are unfit to continue. I believe there is an opportunity to take the conversation away from some of the things Tories claim as ‘successes’, such as the minimum/living wage and instead focus on what we’re able to buy with that amount instead. As, it doesn’t matter if the minimum wage rises if the cost of housing, shopping and pretty much all of the essentials and beyond are rising much further. Take the discussion away from Osborne raising the minimum wage onto where else the government can help people to have more. Either before and/or after the referendum, Corbyn’s stance on immigration will be highlighted, but this gives him the opportunity to instead focus on the actual problems rather than the supposed cause. The message, I believe, that Corbyn needs to repeat is about these actual problems, which millions are directly affected by and rightly angry about. The Leave campaign has brought the focus onto these and serious questions are now being asked about what needs to happen and be done about them, but the Tories don’t have the answers, Corbyn does. I do fear, because workers rights and Corbyn/Labour in general have been missing from the debates within the mainstream, that this makes Corbyn look like he’s not involved in what is, to many, the biggest decision they’ll ever make politically. There could be an argument that the Tories are the ‘big boys’, the adults having a discussion of which the children (Corbyn/Labour) are not a part of. Will the above leave Corbyn open to attacks of being ineffective? Attacks of not being able to convince people, like he will need to do for the general election? Again, to make this clear, that isn’t my view, it’s what I’m worried that the media and specifically, with this latest point, something which anti-Corbyn Labour MP’s/supporters may question and use for their own agenda. Corbyn can, though, join the mainstream debate by raising serious doubts about the Tories ability to govern and about the problems that have now joined the centre stage. The Tories are in no fit shape to govern and this is something that we can raise awareness to, to those angry at the problems they believe are caused by immigration. Corbyn can, possibly, go on the offensive against the Tories, instead of being at the brunt of the many, many attacks. On the 24th of June, once the referendum is decided, the anger about education, health, housing, jobs and living standards will remain, the problems either way will remain. In-fact, either way the problems will worsen, arguably and to a debatable extent more so if we vote to leave, but we’ll still have a Tory government. A Tory government hellbent on destroying the lives of many for the benefit of such a tiny few. This is the perfect opportunity for Corbyn and Labour (hopefully a united Labour) to pile the pressure on a government not in any position to offer any serious defence; disunited and in turmoil. Corbyn, Labour and their supporters need to be prepared for the attacks that will undoubtedly come and that will undoubtedly be the most severe we’ve ever witnessed, attacks to deflect attention, cause conflict, divisions and so on. Corbyn, Labour and their supporters need to be prepared to make the discussion be about the problems, while there is such anger and opportunity to do so. Jeremy Corbyn needs to be prepared for what will be thrown at him, he needs to be prepared to throw back that which we’re all counting on and hoping for him to do so. We can’t hide away from this, we all, including Jeremy Corbyn, need to be prepared. This is why I’m writing this, to be prepared and ready for what is to come and I hope and pray that Jeremy Corbyn see’s this, that enough of his supporters see this and we avoid what will be a terribly arduous and difficult few months ahead, but one that we can be prepared for, if people help to spread this as far and wide as possible, please! Are you prepared Jeremy? I believe you will be if we all come together and prepare for the battles ahead, in solidarity. Overly long, and I wonder, could you produce 1000 words on the questions that will be put to Cameron and Osborne post- referendum? Or perhaps another 1000 on what the press will be throwing at Boris, and Gove and IDS post referendum, and what you think they “must do” now? You might also want to put your name to them. Otherwise it must be discounted as the outpourings of one already biased. It is cowardly and diversionary to put up anonymous pieces about what Corbyn “must do”. Perhaps I need to tell you what you “must do” to avoid a crushing defeat? Like get out and campaign. It’s what JC told the supporters to do, and we need you to do. And less time spent telling Corbyn what he “must do” would play better with his supporters and provide less ammunition for his detractors, which if we are to believe you, you also want to do. It was written by a Corbyn supporter, I don’t think Corbyn would appreciate your derogatory, aggressive and belittling tone towards someone who is only trying to help. If you must know, she has anxiety issues and that is why she wanted to remain anonymous, she was worried about someone making the wrong assumptions, as you clearly have, and worried that someone would be confrontational, which you clearly have. You need to read it again and this time without the attitude, without assuming it’s meant as negative but instead that it’s from a Corbyn supporter whom knows what the mainstream media and Tories etc. are like and knows what they’ll do, she was trying to be helpful, and you? What was you trying to be other than vindictive, malicious, arrogant and probably mostly entirely blinded by rage thinking that this was against Corbyn, she was trying to help and to be honest, maybe you should try doing that too next time!!! (sorry pressed send) As for Corbyn “not appreciating” my tone, it was not derogatory, unless you make it so. Would the author care to write a thousand words on what Osborne “must do”? It is sometimes a salutary exercise for some to be made to think about what and how they are doing something. Corbyn wants a different type of politics, which his many supporters share. It is inclusive, not hiding out in anonymity lobbing grenades over! Poor girl (?) if my tone was thought aggressive. Challenging is not aggressive, and if you do something that is against the entire party ethos and activities then you must expect to be challenged. Friend or foe? It’s that simple. I don’t do blind rage, if that’s what you saw them perhaps you need to reassess your relationship with the written word. But I am stand my ground. There is no need in today’s Labour party to hide. If you have something to say, it us listened to. Members are constantly asked for opinions and suggestions. If someone is so naive and timid as to want to hide then they need to mix with the supporters more. Corbyn dies appreciate the views of my peer group in the party and has actioned suggestions we have made. We are in touch constantly with the movers and shakers. Which is why I reacted as I did. Your author may claim to be a timid little beatis but the whispering in the shadows of his opponents (as this piece is) from those who want to “just say” that everything he us doing is wrong is just another sheet tactic. Until your author grows enough to step out of the shadows and gains sufficient experience in the way the Party now works, and genuinely participates, it must be taken at face value. Another piece to be used by Corbyns opponents as “proof” that his own (so called) followers disagree with his actions. In other words, put simply Not Helping. Your response too is intriguing. But I’ll leave that for now………. For starters, is that really your attitude towards mental health? That someone should simply ‘grow enough’? She isn’t hiding, she is unwell and it isn’t for anyone else to force her into anything, as you’re trying to do. You’re clearly intelligent, clearly very passionate and rightfully angry about the attacks on Corbyn. I wouldn’t have published something that was an attack on Corbyn, the article is, quite simply, not an attack on Corbyn. The only thing that I will accept is the phrase ‘must do’, however, it was meant to be in a way which shows how genuinely fearful she is of what will happen and to stress the importance of this. If, as predicted, the majority of ‘ordinary working people’ vote to leave (click the word ‘leave’ in the article to go to an article by Owen Jones which states it), the very people which Labour represent (‘ordinary working people’) – if the majority of these people vote to leave and Corbyn has a remain stance, how could the Tories, mainstream media and UKIP, use this? If the majority of the people that Labour represent vote to leave, this will be at odds with Corbyn’s stance. That isn’t an attack! It’s a statement of what might and probably will happen. If the majority of ordinary working people are against immigration and Corbyn is perceived as being ‘pro-immigration’, how do you think UKIP will twist this? Let’s imagine that we’re talking about a different issue, if the majority of Labour members voted one way and Corbyn was the other way, should Corbyn follow a democratic majority decision or not? Regardless of why people are against immigration, if they’re against it, then should Corbyn follow a majority decision and also be against it? Or should he follow his principles and try to convince people to change? Who should change? The party leader or the people he represents? It’s a dilemma that will happen and one that Corbyn ‘must’ be prepared for. The media etc. will try to force Corbyn into a corner, they will ask whether or not he is to keep his stance or change to go with the majority of ordinary working people. How should Corbyn prepare for this? What do you think he should do when he is asked such a question? She isn’t agreeing with the media, she’s simply saying that it will most likely happen and that without preparation, it could be damaging to the person she supports – Corbyn! None of this is an attack on Corbyn, the whole point of this is that the mainstream media, Tories and UKIP will pick up on this, Corbyn and his supporters need to be prepared for it! I understand your anger completely, but I do think it’s blurred what you’re reading and has blurred what I imagine are your genuine views on mental health, without the anger I don’t think you’d wish to force someone with mental health illness to do something that she doesn’t feel comfortable doing, would you? I think we need to start over, we’re on the same team, the same side, we both want the same things, but your anger, understandable anger, is clouding everything. I would like to add, that if you was an anti-Corbyn individual and had reacted in such a way to what is a pro-Corbyn article, you would be labelled a troll. I’ve no doubt that will probably make you angry, which will actually prove my point! Anyway, I had to add that, despite it going against the preceding paragraph. She doesn’t disagree with his actions at all, all she is doing and she couldn’t have made it clearer, is stating that which others will undoubtedly say, she’s saying what they will say and is trying to warn Corbyn and her fellow supporters! I am not bullying, if anything you are bullying me because I made pertinent remarks which were not welcome. Do you, or she, not think that this has not already been discussed at length and in depth and the party has strategies and is developing new ones all the time? Pontificating anonymously about what others “Must do” is only helpful to those who will read it, and *rightfully* conclude that if a self professed supporter of Corbyn says he isn’t doing enough/ right/ ignoring the obvious, that it must all be true, and even his own supporters are getting desparate and alienated? Has it not occurred to you that if your friend didn’t agree with what. Corbyn us (isn’t?) doing, that maybe she isn’t really a supporter? Because a good part of the whole party thing is actually trusting your leader and supporting his decisions, not slavishly but loyaly. loudly proclaiming their loyalty. I’ll just leave that on the table for consideration . Perhaps your friend is sincere, but she has made herself sound exactly like our enemy. Really not helpful at all either for Corbyns campaign, or for your friend, if she is as vulnerable as you now claim, to fail to understand the reaction it would spark. You know many if Corbyns supporters are quite old and Wiley and politically astute. We are trying to help educate and develop many younger people who have never been involved with politics before. It is actually quite excruciatingly embarrassing that got friend thinks sge alone can perceive what hundreds of thousands of Corbyns supporters, including the amazing team he has around him have missed? Your friend might do well to join some of the online communities of left wing and Corbyn supporters. It should soon become apparent that what she wrote is at best very naive, and at worst gifting our enemies ammunition. You have called me many things, like angry, appalling, bullying, but if you go back to my original post you will that is all your projection. Rather like the alleged faults of Corbyn, too, which are not real, but projected. Don’t be willing to ignore what I said. Be willing to learn. That is exactly, what you’ve said to begin with about it being discussed, the whole point of the article! She fears it hadn’t been, from the local meetings and groups online and offline, that she is very much an active part of – depending on her health. She said she’d recently put herself in the shoes of those that only read/watch the mainstream media, something that people need to do to consider different views and perceptions. It’s her ‘opinion’ what ‘others’ might say, the article does make that clear. Corbyn’s amazing team around him? Is it okay if I challenge that myself? Not attack, challenge… Corbyn, as you know, is genuine and sincere, his policies and plans are exactly what 99% of people need and would benefit from, we can both agree on that! – this amazing team hasn’t yet been amazing. Regarding the referendum, this amazing team, outside of Corbyn and Labour supporters, has been almost non-existent. In-fact, that is kinda the whole point and problem with you – you can’t see beyond, you can’t consider what ‘ordinary working people’ might feel and think. The author might be wrong, she might not be the first to have considered it, she might have not come up with the best ideas for if it does happen – if that is the case, then SAY that, but don’t accuse her of attacking Corbyn. That is the distinction, she isn’t attacking Corbyn, she’s worried and decided to write and ask a left wing and generally Corbyn supporting blog to publish it, not to attack Corbyn, but to put it out there incase Corbyn hadn’t considered it. Can I say that you’re a lot more intimidating than you might realise, just like a big muscly man is intimidating physically, with your intellect you’re intimidating over written word, and to be honest, you probably don’t realise just how intimidating you are. I’m getting fed up with this, as you are just not getting my point. I didn’t say your friend was wrong, I said making thus sort of criticism which become others ammunition in a public forum is wrong. Do you see the difference? Next point, yes Corbyn, his team and his supporters have already understood the nature of the MSM blackout. May I repeat what Corbyn himself said at a meeting I attended last week? He said the MSM were out to damage the campaign and the party (he modestly left out himself) and that wasn’t going to change, and he is telling on each and everyone of us to get out and talk to people. So if I find lobbing “stink bombs” at Corbyn something to challenge, perhaps you can see that it is not helpful. You put your friend into the publc domain where it can be brutal. As an ex educator I am far from the worst that could have happened. I still stand by my initial comment. Have you thought about the other protagonists post referendum? Or she would just like it removing, the last thing she wanted was for people to interpret it as an attack on Corbyn or to upset anyone as she has done. She (and I and a fair few friends for that matter) does still believe that she was and has written something in the hope that if Corbyn and supporters haven’t considered the weakness of the Tories and how they’ll come out with stuff to shift attention away from themselves and basically make stuff up (like the hypothetical examples she has listed which are just guesses at what they might try to say) and if Corbyn/supporters haven’t considered it, then she is trying to raise awareness of it. PS I don’t have to persuade you to support Corbyn. If you support Labour values, you support the Labour party. He is the leader of that party, and as such he gets that support. I don’t do fan clubs. I replied to the text as it spoke, in the tone which it set. The author might have thought to get an editor of at least a second opinion if she/ he thought just once about joining the anonymous attacks on Corbyn. I am a Corbyn supporter, and if I have “attitude” I am usually told I am ultra positive. So the message to the messenger is the same. Only opponents if Jeremy Corbyn make anonymous pronouncements about what he “must do”. The Labour party is Corbyn is open to all who support the policies and some of the Labour party. There are many, many opportunities within the party to voice concerns and debate as adults. There are many FaceBook groups where this happens every day, in a mist civilised and welcoming atmosphere. She is simply trying to raise awareness of the onslaught which will come Jeremy’s way if the majority of ‘ordinary working people’ vote to leave and have an anti-immigration stance while Corbyn will be perceived as being pro-EU and ‘pro-immigration’. The media will use this to deflect attention away from the Tories, UKIP will use it to claim that Corbyn doesn’t share the concerns of ordinary working people and anti-Corbyn Labour MP’s and supporters will also use it for their own agenda. The points she raises are important, it is something that she feels hasn’t been discussed or considered by Corbyn supporters and feels that they need to be prepared because the onslaught will be huge and severely damaging to Corbyn and to all the lives he cares so dearly about. Our lives. She says that Corbyn and his supporters ‘must do’ something about this, she is herself doing something by writing the article. The article is in absolutely no way an attack on Corbyn and I don’t know why you’ve targeted your anger (rightful anger at the genuine attackers of Corbyn I may add!) at her. The things she mentions against Corbyn are about what others will say, not what she is saying! She clearly states that it is what others will say and that she mentions them for people to be prepared for! She clearly states that it is what others will say and that she is writing the article to try and inform and prepare people for it! You’ve approached the article with a preconceived notion and idea, one that has blurred your interpretation of what the article is about and what the intention of the article is. She is stating what she believes people need to think about, prepare for and what to do when it does happen. The only ‘must’ is regarding the opportunity and she says this out of genuine fear that the weakness and vulnerability of the Tory party will mean that they and the media will come out all guns blazing. She is incredibly well informed and has vast experience of making correct predictions, she is trying to help out of fear of what is most likely, based on everything we’ve seen since his election, to come after the referendum. To be honest, she has absolutely every right to remain anonymous and your views on this are quite frankly appalling, I have told her not to read the comments because it will most likely cause great upset and I don’t think Corbyn would approve of your bullying of someone too ill to defend themselves! Please, read it again, put to one side all of this and really consider what she’s saying about what to expect, don’t concentrate on what you perceive (wrongly) as an attack, think about what she’s actually saying and think about whether or not, based on the Tories vulnerability, the history of what they and the mainstream media have done and actually consider whether or not she is right that Corbyn will be the target to deflect attention away from themselves. Once you actually truly consider what she’s saying, you’ll see the possibility of the consequences of what she’s saying and realise that all of us Corbyn supporters need to be prepared for what is coming. I fully support Florence. You can’t put forward an argument in a political sphere and then stop it from being challenged by saying you’re ill. That is not acceptable, it’s unfair. It is an argument for dictatorship. We are all open to challenge. Florence has used natural debating skills. Should we all lose our voice because someone is ill? What about our right to discuss matters, matters of great importance. This person who is ill has no right to shut us up. It’s abusing the term ‘mental illness’. We all have equal rights to debate, ill or not. I believe the person who is talking out on behalf of this ‘ill’ person is doing her no favours. I’m sure by the sound of her article she welcomes open debate.